HomeGordon Sinclair – Journalist, Author, TV personality, and Curmudgeon Extraordinaire! Gordon Sinclair – Journalist, Author, TV personality, and Curmudgeon Extraordinaire! He was brash, ornery, uncompromising, and occasionally uncouth – yet none of that stopped him from becoming one of Canada’s best-known celebrities. Loud in both dress and personality, Gordon Sinclair first rose to fame in the 1930s as a globetrotting journalist for The Toronto Daily Star. 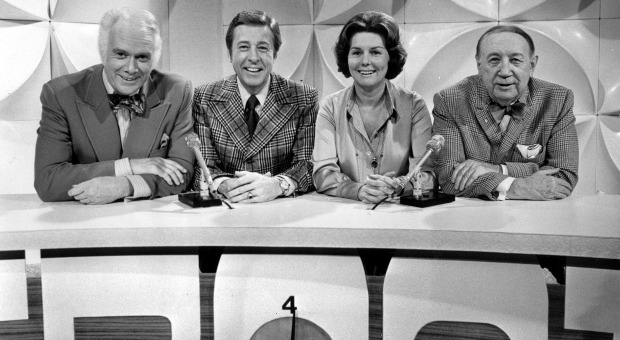 Later stints as a popular radio host and a panellist on CBC’s Front Page Challenge extended his celebrity into the 1980s. In this CBC Television clip Pierre Berton and author Morley Callaghan take turns eulogizing — and criticizing — their feisty friend who has just died at 83. Sinclair was born in the Cabbagetown neighbourhood of Toronto, Ontario. In 1916, before finishing his first year of high school, Sinclair dropped out to take a job with the Bank of Nova Scotia. After a few months, he was fired and started working in the administrative office of Eaton’s. During World War I, Sinclair served as a part-time soldier in a militia unit of the 48th Highlanders of Canada. After being fired from Eaton’s, Sinclair took a junior bookkeeping job with Gutta Percha and Rubber Manufacturing Company, starting in April 1920. It was there that he met co-worker Gladys Prewett. After an off-and-on relationship, the two were married on May 8, 1926. Early in 1922, Sinclair applied for a reporting job at all four Toronto newspapers. The only offer he received was from the Toronto Star, where Sinclair started working in February 1922, hired on the same day as Foster Hewitt, who was the son of the Star’s sports editor. Sinclair was given routine assignments at the Star for seven years before he received his first byline. His breakthrough was a series of articles written after living among a group of homeless people, which Sinclair called “Toronto’s hobo club” From that point, Sinclair rose to become one of the paper’s star reporters, spending most of the next decade travelling the world, filing reports from exotic locations. During an Asian tour in 1932, Sinclair spent four months in India and, after returning home, wrote his first book, Foot-loose In India. It was published in October 1932 and became a best-seller in Canada, with the first edition selling out on the first day of release. Before the end of the year, Sinclair announced that his next trip would be to Southeast Asia. His experiences on that trip were collected in Sinclair’s second book, Cannibal Quest, which was a best-seller in Canada and also reached #9 on the U.S. best-seller list. That was followed by a series from Devil’s Island, which was also turned into a book, Loose Among the Devils, published in 1935. Later that year, Sinclair was fired by the Star after failing to get the story on the outbreak of the Second Italo-Abyssinian War in Ethiopia. The Star reported that Sinclair was leaving journalism to take a job in advertising. The Star wrote that Sinclair had travelled 340,000 miles in 73 countries for the newspaper. At the time, he was working on his fourth book, Khyber Caravan, based on his travels in Afghanistan. Sinclair also began a career in television, as a panelist on the CBC Television series Front Page Challenge. He would hold that position for 27 years until his death. While Sinclair was often controversial, he caused an uproar in 1969 when he asked Canadian Olympic swimmer Elaine Tanner if menstruation interfered with her training. Sinclair was a vocal opponent of water fluoridation (calling it “rat poison” in 1958), the singing of God Save the Queen, medicare and taxes. Although he was raised as a Methodist and taught Bible class as a youth, Sinclair became a forceful critic of religion and the church. “I had 31 years of being a Christian, and it was enough,” he said in 1969. Sinclair had invested his earnings in the Depression-era stock market and was independently wealthy by the end of the Second World War. In 1960, he boasted that he earned more than $50,000 a year. By the end of his life, Sinclair reportedly had liquid assets of more than $2 million. He bought a Rolls-Royce in 1961 and drove it for 11 years. Sinclair’s autobiography, Will the Real Gordon Sinclair Please Stand Up was published in 1966, followed in 1975 by a sequel, Will Gordon Sinclair Please Sit Down. 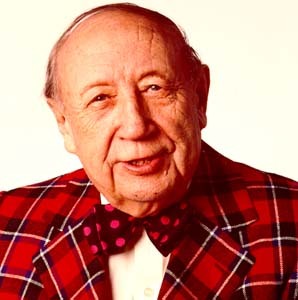 During his 62-year career in the media, Gordon Sinclair became known for both his curmudgeonly manner and his outspoken views. A relentless self-promoter, he transformed his singular style into a lucrative career which spanned some 50 books, a popular radio program and a plum spot on the longest running show in the history of CBC Television. Equal parts loved and loathed, many of Sinclair’s most outrageous comments continue to live on more than two decades after his death on May 17, 1984. On June 5, 1973, following news that the American Red Cross had run out of money as a result of aid efforts for recent natural disasters, Sinclair recorded what would become his most famous radio editorial, “The Americans.” While paying tribute to American success, ingenuity, and generosity to people in need abroad, Sinclair decried that when America faced crisis itself, it often seemed to face that crisis alone. At the time, Sinclair considered the piece to be nothing more than one of his usual items. But when U.S. News & World Report published a full transcript, the magazine was flooded with requests for copies. Radio station WWDC-AM in Washington, D.C. started playing a recording of Sinclair’s commentary with “Bridge Over Troubled Water” playing in the background. Sinclair told the Star in November 1973 that he had received 8,000 letters about his commentary.